GCF developed this Strategic Framework in 2016 as a Road Map to guide giraffe conservation activities throughout Africa and, where appropriate, to inform future country, regional and species plans, and/or an Africa-wide Giraffe Conservation Strategy. This Strategic Framework summarises shared experiences and collective thoughts, perceived gaps in current giraffe conservation and management (both geographically and in terms of current knowledge in giraffe status), distribution, taxonomy, ecology and other aspects of giraffe science and management. Lastly, this Strategic Framework outlines conservation priority areas and suggested activities to address these. These suggested activities could be used as a guiding Road Map for giraffe conservation by the IUCN SSC Giraffe & Okapi Specialist Group (GOSG), GCF, conservation partners, the zoo community, private sector and most importantly, the governments and people of Africa, who live with and collectively manage giraffe in the wild. The first three conferences dedicated to the ‘wild’ giraffe, Giraffe Indaba I, II and III, were coordinated by GCF and co-hosted with the IUCN SSC GOSG in Namibia (2011), Kenya (2013), and South Africa (2015), respectively. The concept of developing an Africa-wide Giraffe Conservation Strategic Framework evolved out of GCF discussions at Giraffe Indaba I, and subsequent discussions with giraffe conservation partners across the globe. Download the Africa-wide Giraffe Conservation Strategic Framework: Road Map. In May 2018, 35 experts working directly on giraffe or in thematic areas relevant to conservation-based decision-making from NGOs, academia, and African governments came together to develop a unifying Africa-wide Giraffe Conservation Science Management Framework. During this first-ever Giraffe Conservation Science Symposium, the group identified key gaps for further assessment as well as opportunities for developing partnerships and working collaboratively across Africa to help save giraffe before it is too late. Ecology. Main questions: How many giraffe are there really in Africa and where do they live? How do they use their habitat? What key habitats and forage is needed to conserve them? Heath. Main questions: What is causing the emerging skin disease, and what impact does disease have on their survival? What can we learn in the wild to better look after captive giraffe and vice versa? What other key giraffe medicine questions do we need to understand? Human dimensions. 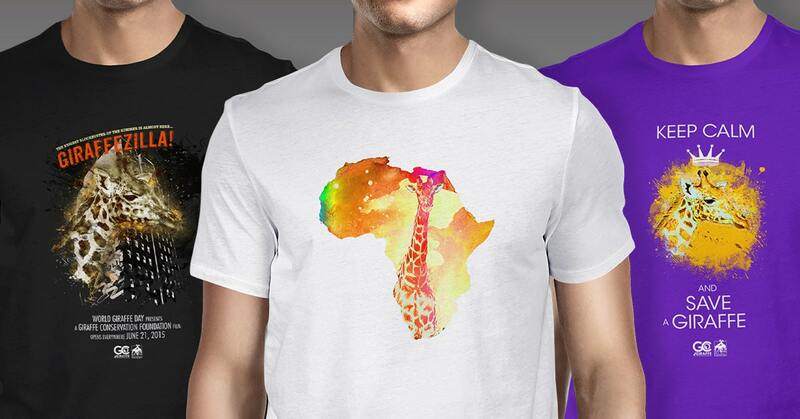 Main questions: How are giraffe perceived in Africa by Africans? Is giraffe trade a threat to giraffe? In the spirit of collaboration, the Symposium was hosted jointly by GCF, San Diego Zoo Global, Senckenberg Biodiversity and Climate Research Centre (Bik-F), and the Smithsonian Conservation Biology Institute (SCBI) at the SCBI campus in Front Royal, Virginia, USA. This initiative is a work-in-progress, and we hope that more experts, organisations, governments, and institutions will join us to find sustainable solutions for giraffe conservation in Africa. All participating organisations gave GCF the mandate to take the lead on taking this initiative further. Several collaborative projects and programmes have evolved out of this collaborative approach and the consortium of organisations as pledged their commitment to giraffe conservation. To find out more about the ongoing initiatives, please get in touch.